Every home business owner should understand the importance of marketing to the success of their business. But many owners don’t understand how to market effectively. There is a method of reaching your market and a psychology to enticing them to check out your business. Effective copy speaks directly to the market so that they feel your offer is exactly what they need to solve their problem. 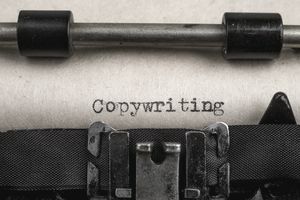 Here are tips for writing compelling copy to generate interest and sales in your home business. Make a list of the features your product or service offers. What makes your home business great? Is it big or small? Fast or thorough? Does it fill a need not filled by any other business? Write down why you’re the best source for this product or service. Do you have education or experience that adds to your credibility or the value of your product or service? What proof do you have that your product or service does what you say it will? Consumers want proof that what you say about your product or service is true. You can get proof in a variety of ways including testimonials, awards or special recognition. What sets your product or service apart from your competition? Why should people buy from you, versus another business? It could be your background expertise or the quality of service you provide. Who are the most likely buyers of your product or service? Don’t say everyone is an ideal customer. While everyone might benefit from your offer, not everyone will want it for the same reasons. So if you have a product or service with mass appeal, identify several target markets. For example, if you have a weight loss product, make a list of markets that want to lose weight and why. Moms want to lose pregnancy weight. Other people might want to lose weight for health reasons. Use words and images your target market uses. Essentially, you want to speak your market’s language. Grab their attention immediately. Start with an attention-grabbing headline that speaks directly to your market. Make a promise to your target market. This is where you indicate what’s in it for them. Lose weight! Pay off debt! Use words that help your market see and feel how your product or service will help them. Most people buy from emotion, so the goal is for them to picture, experience, and feel themselves achieving your promise. For example, they can see themselves in a bathing suit on a beach or living without a financial care in the world. Accentuate what’s different about your offer from your competition. Highlight your unique selling proposition. Give your market proof that what you’re promising is true. If you have testimonials, research or awards to back up your claims, share them. Establish your credibility. Let consumers know why you’re a credible source for the product or service because you have the education or experience. Highlight your value. Let people know why you’re worth what you’re charging. Have a call to action. What do you want people to do when they see your promotional material? Buy? Visit your website and sign up for a free offer? Call? Offer a money-back guarantee. Consumers are leery of businesses that don’t back up their products or service with a risk-free guarantee. Create a return or refund polity that makes consumers feel safe in doing business with you.